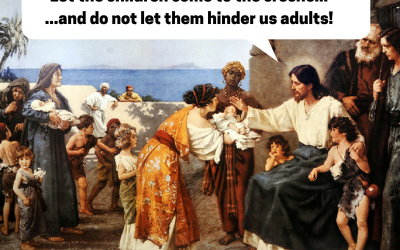 Welcome to the webpage of Not the Bible. 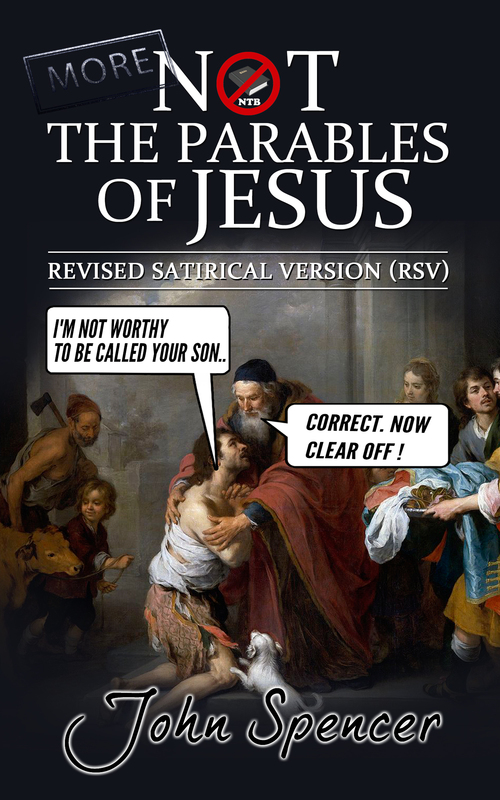 A series of satirical mistranslations of several books from the Bible. Half tongue-in-cheek, half right between the eyes, these books are designed to expose our over-familiarity with scripture, cultural bias, and hidden assumptions. Suitable for personal devotion, small groups, and as a basis for sermons. The parables are excellent for use in all age services. 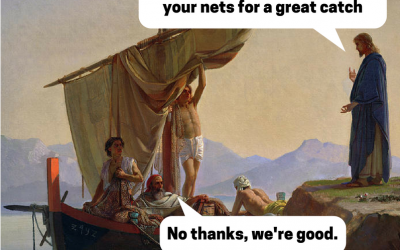 Each week I’ll be releasing a commentary on a passage from The Ungospel of Matthew on the Not the Bible blog. 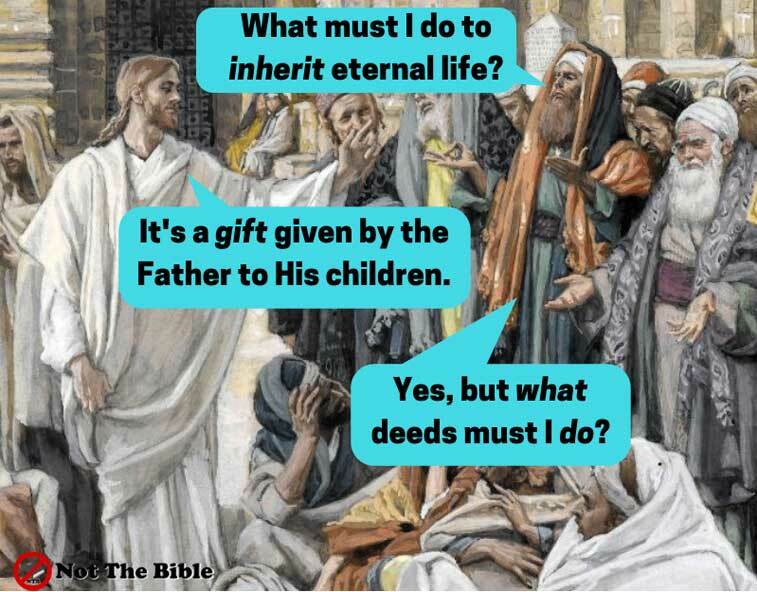 Would you like to write a commentary on a Not the Bible passage? 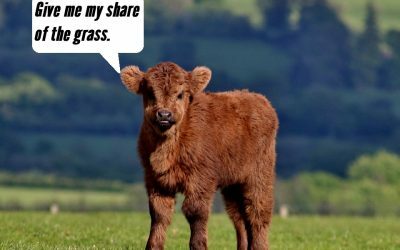 Would you like to submit your own mistranslation or a meme idea? Great! Let me know via my contact page. More than 40 different takes on the original parables to snap us out of our over-familiarity and to restore the joy of the Gospel and the discomfort of the Sword of Truth stabbed firmly in your gut. 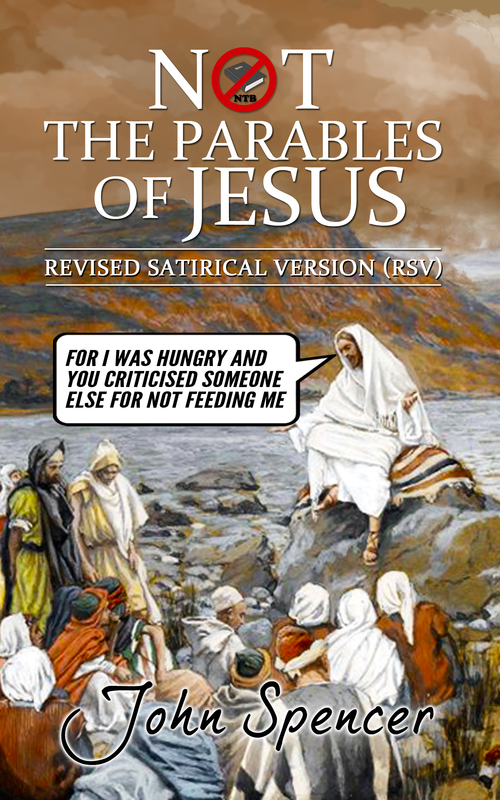 Another 40 satirical takes on the original parables to make you laugh and think. 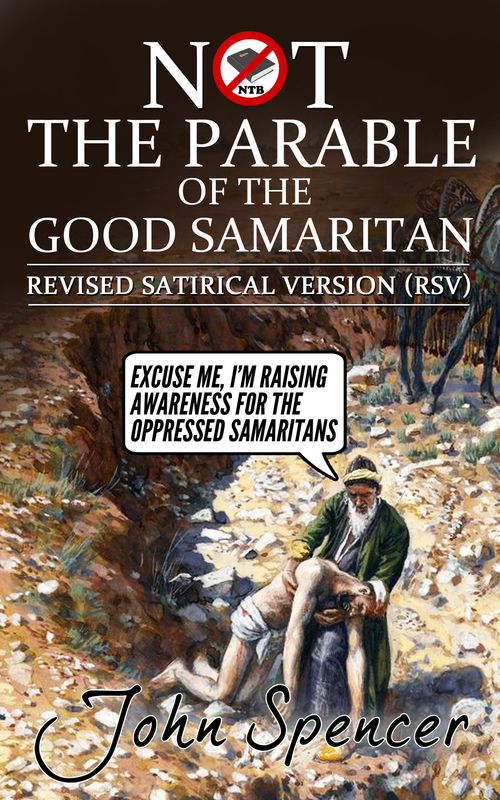 You’ll never guess what beloved parable has 40 different takes on it?